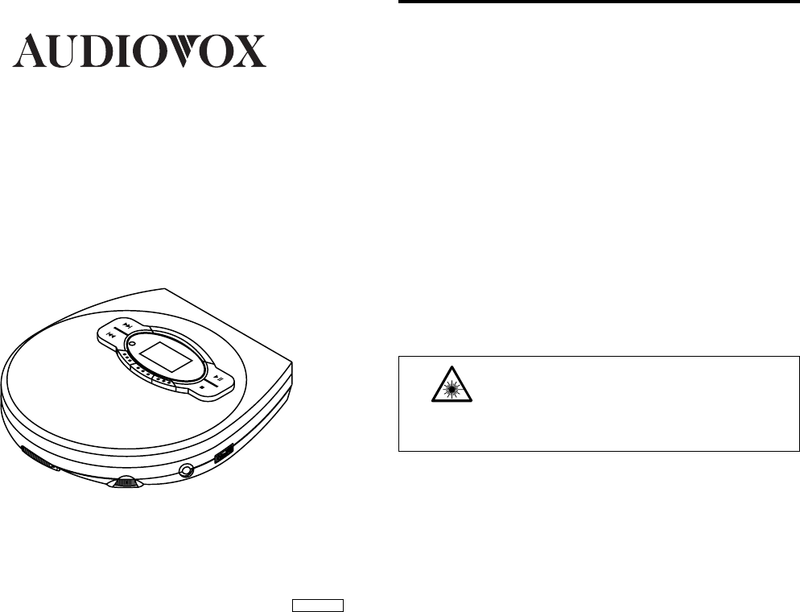 Please read this instruction manual carefully before operating the Compact Disc Player. To prevent fire or shock hazard, do not expose the Compact Disc Player to rain or moisture. when not in use or move it away from the affected radio tuner. any interference received, including interference that may cause undesirable operation. and also with FDA Radiation Performance Standards 21 CFR Subchapter J. IN HAZARDOUS LASER LIGHT BEAM EXPOSURE. 1. Do not open the Compact Disc Player’s case. Refer servicing to qualified personnel only. 2. Do not expose to excessive heat, direct sunlight, dust, moisture, vibration or shock. unit from the wall outlet when the unit is not to be used for an extended period of time. cleaners as they may damage or discolor the finish. and is illegal in many areas.